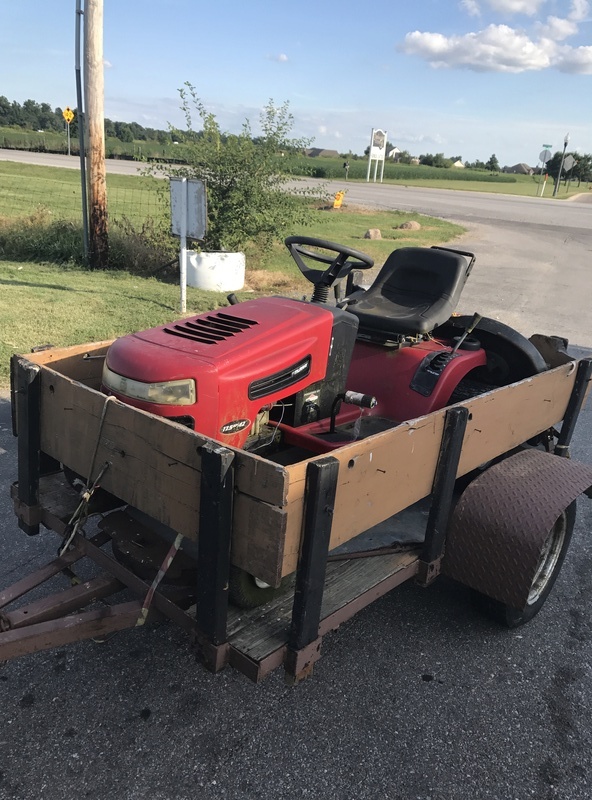 Okay guys, i know its been a while since ive been here, but im finally getting a little free time, and ive got another mower that needs building. It is a mid 90s murray widebody. 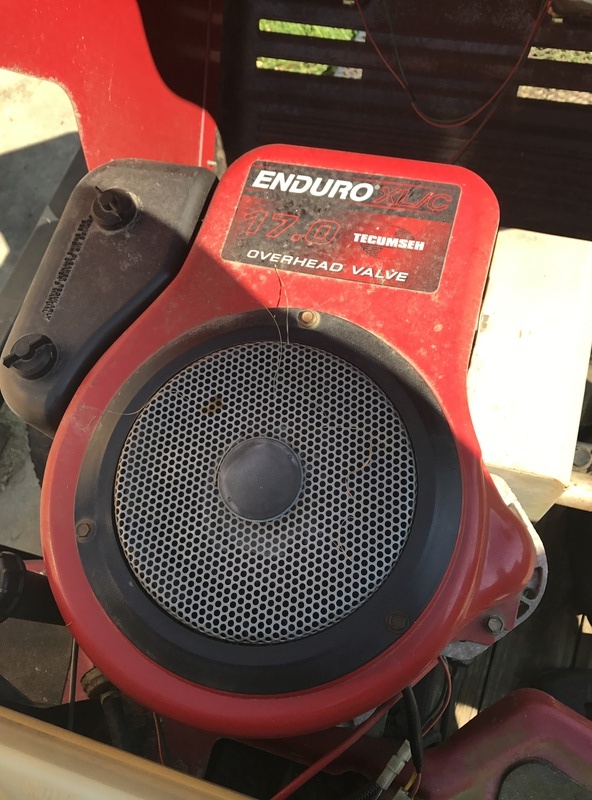 17hp OHV tecumseh single cylinder. The rear end was an MST-206, until CQ stole it out from underneath it. 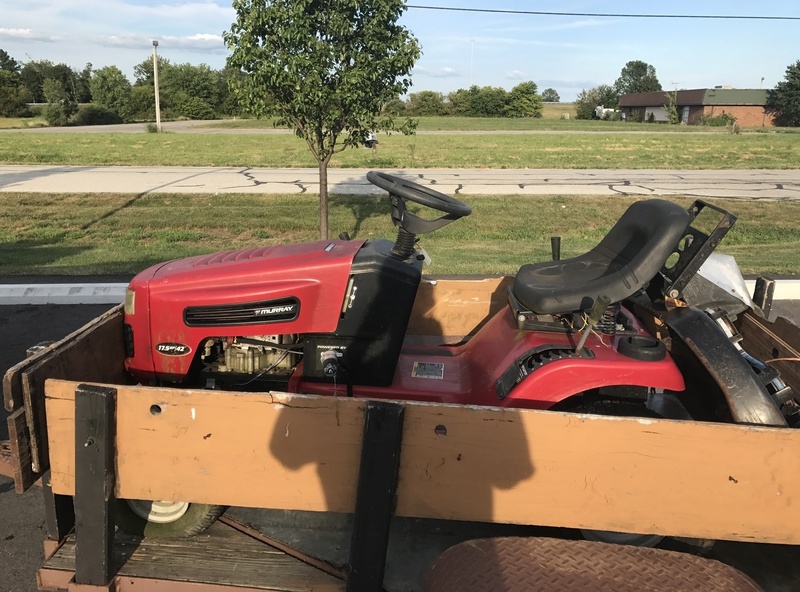 ( Really it was his mower to begin with, he bought it for the rear end and intended to scrap it, until he realized it would be a much better build than my ranch king) So anyway, Just figured id start a thread for it. I am working on finding a rear end as i am typing this, and CQ is doing the same. 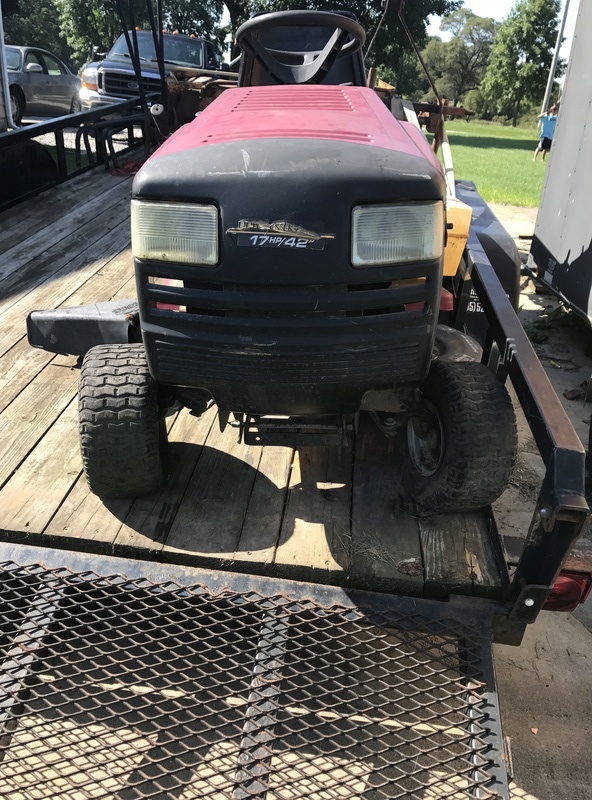 Anybody have any ideas for this mower? id like to get a little input and make a plan before i start building. I want to build this thing right. 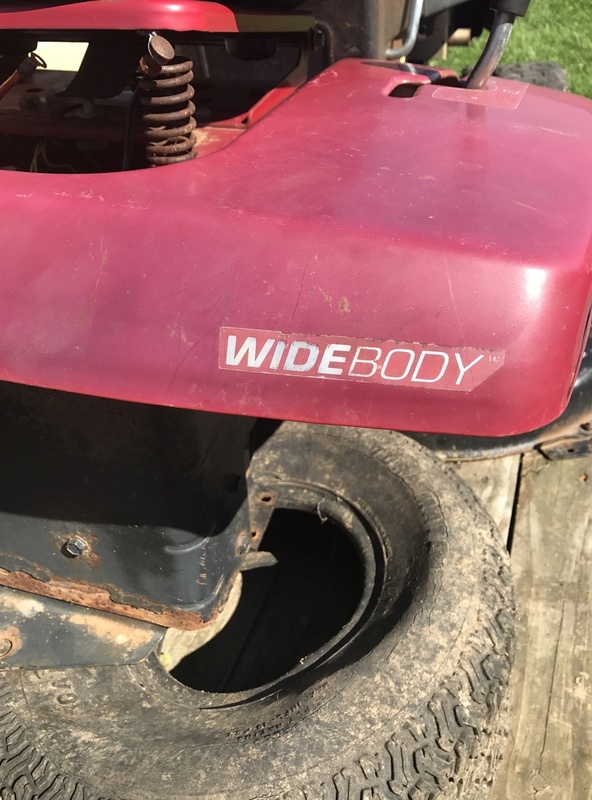 A good set of tires too. Something you may want to consider as well. That frame twists, depending on how hard you are on it or like in my case a bigger guy. I'd figure some more bracing in there. I put a belly plate on mine, but now I have limited access to the underside and belts. I'd recommend putting a sweet Murray GT hood on it!! Hahaha, but yeah double pulley clutch like mighty said would be a nice upgrade. Instead of finding an MST206, maybe a different transaxle? Like an 820 or something would be cool. I've never really seen anyone do suspension on one of these Murrays, so that would be interesting to see as well. 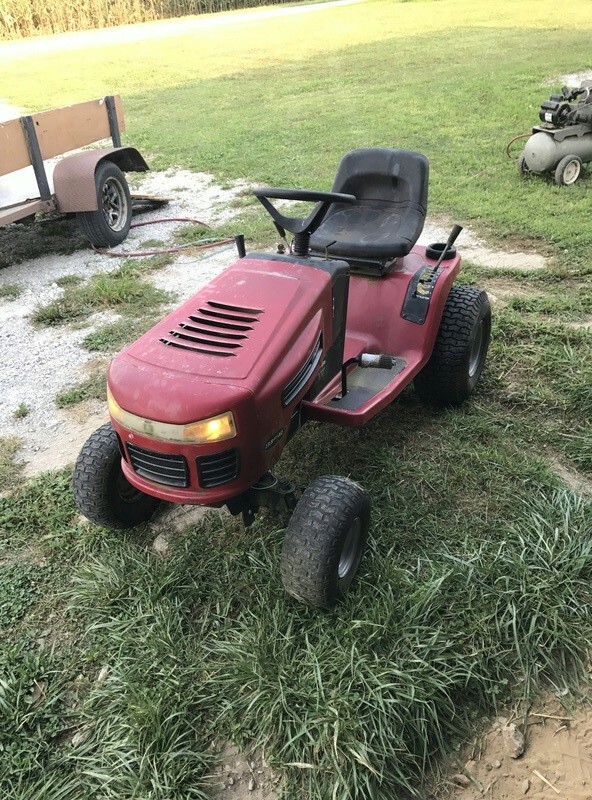 Maybe some steering upgrades? There are lots of possibilities. Also where is CQ anyway? Haven't seen him on here in forever. Okay. Here is the deal. Yes, a double pulley clutch like Fearless's was in the plan. idk about the hood, but if i find one, totally! For the transaxle, the initial plan was to use the 801 out of my king. Unfortunately, it pretty much needs a total rebuild and a new top half of the case. plus, the 800 series transaxles have more front mounts, and the pulley sits higher than those on the 900s or MSTs. 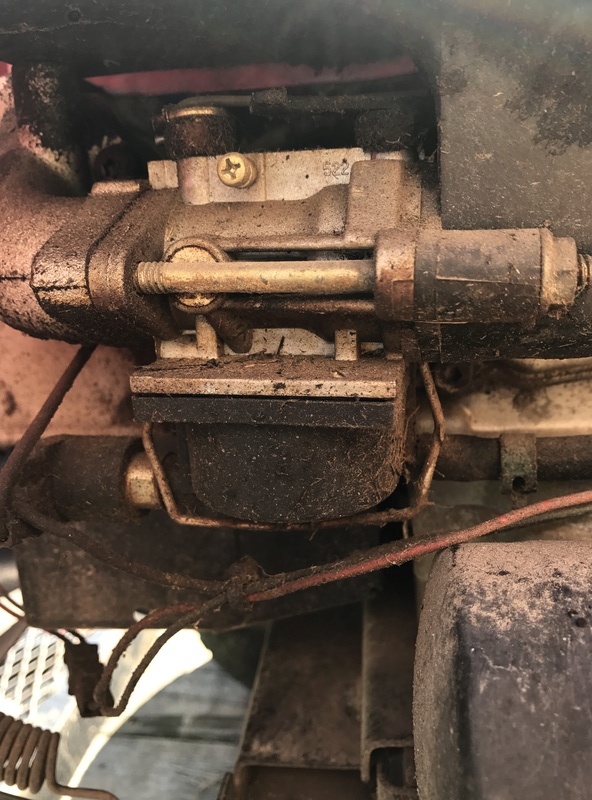 So my issue was that i would already be loosing the front mounts, but then id have to space out the bolts in the axles to make the pulleys line up, which weakens it even more. id like to find a 930 or even a 920 if i am desperate. So basically, i am on the hunt for a transaxle. 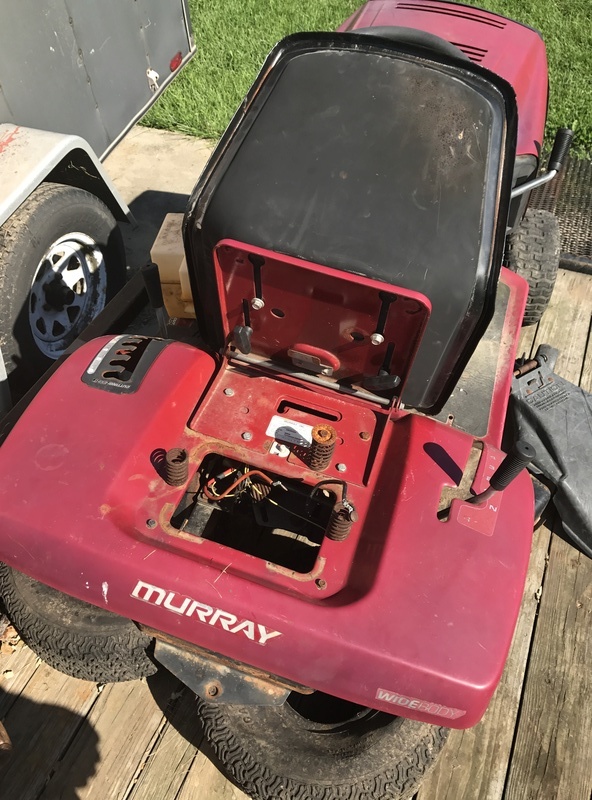 As of now, the murray is going behind the shed, where it will sit until i find a rear end. no sense in doing anything else until i get it running and driving. i would like to rid myself of the king. It was a nice first build, but more of a P.I.A. than anything. Thanks, MTD! CQ has been heller busy. Ive only seen the kid 3 times this summer lol. He and i are planning one more get together. He finally finished his CQ, and i halfassed the king back together, so i think we are going to go be stupid (hopefully). If he and i ever make it out there, ill definitely make sure to get some video. ill strap my phone to a place on the mower. its pretty dry, so i dont have to worry about a lot of water or mud, and seeing as its a samsung its pretty close to indestructible. its been through a lot worse. In addition to some nice riding through fields, side ditches, and trees, you will probably see the kings rear end grenade underneath it, because that seems to be the direction that it is heading. Oh he finished the CQ? Nice! Hopefully he'll update us here hahaha. Sweet! Should be cool. I also looking forward to seeing the Murray vs CQ showdown thats likely to happen hahaha. Oh yes. 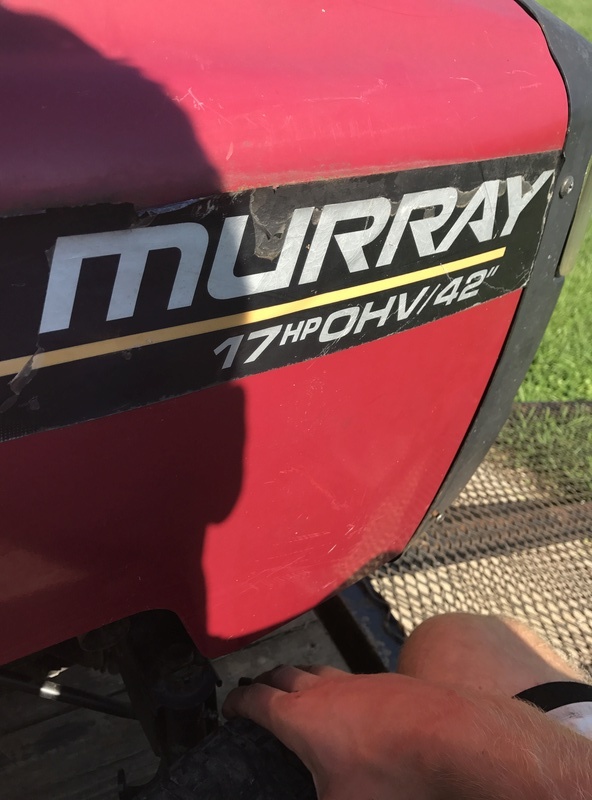 If i get a rear end for the murray that is. Rear ends where i live are scarce. 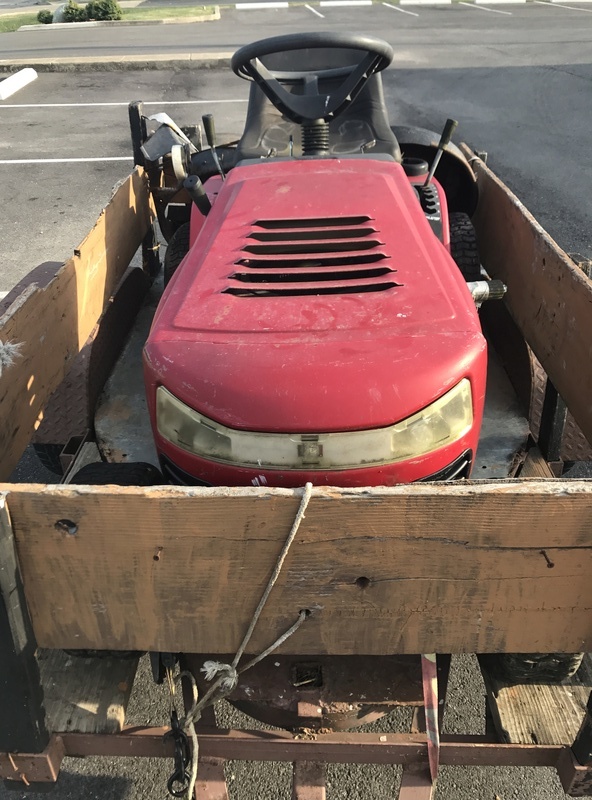 People around me either fix all their junk and use it until theres literally nothing left, are unwilling to part with their junk, or use modern stuff, like hydrostatic mowers, or large tractors with finish mowers. or zero turns, etc. Right now im in the process of finding one, but it might be a while before i get one. If anyone knows where to get a 900 series or an MST, PLEASE PM me. i dont want to leave the murray sit. i'm just itching to build this thing. but without a rear end, i have no choice but to park it. I come back to you all from the land of RichieRichOverdrive with yet another Murray. This one was technically in Indiana, just through Madison. Anywho, 25 bucks for this one. MST-206, 17.5 OHV Briggs, and it isn't a widebody. It is the same frame, but with the narrower hood and more aggressive grille. 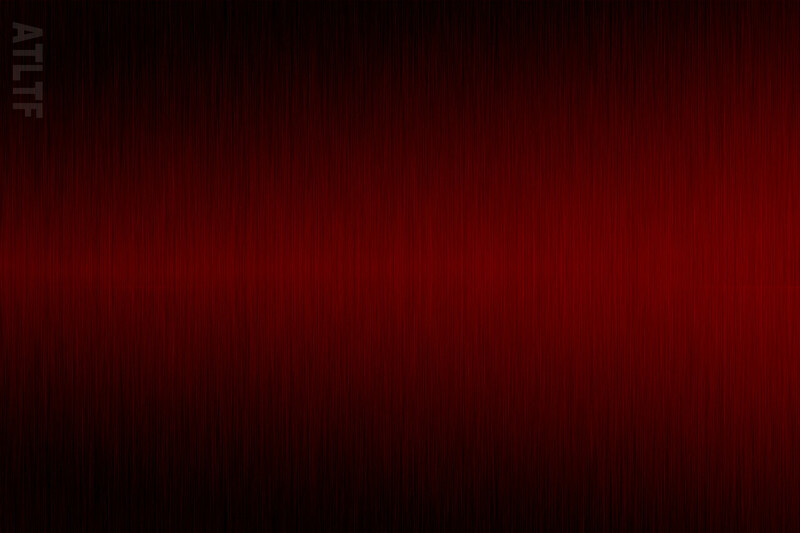 I much prefer the style of this one. I didn't even open the hood to check the numbers on the engine I just got the reason it was parked, saw MST-206, and said I'll take it lol. My plan is to build the one from today as TGH's new ride and use the widebody as parts. 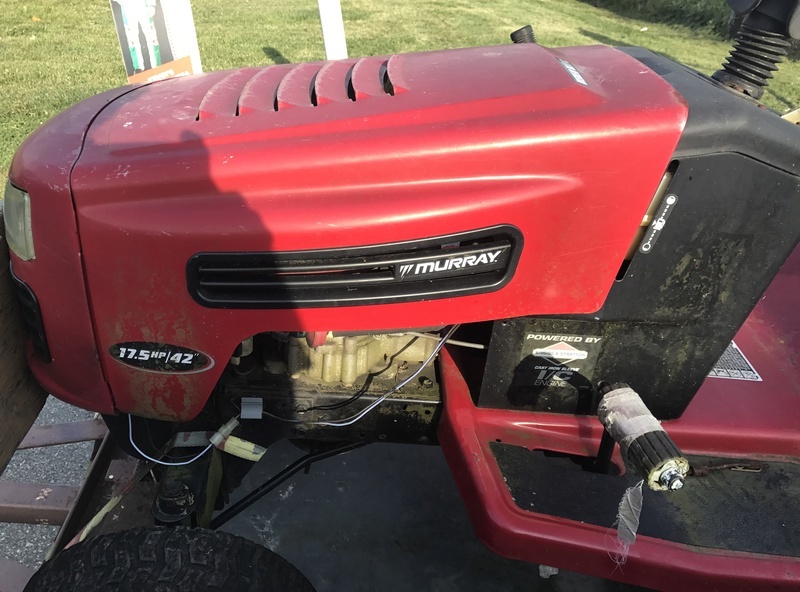 It still has the deck (new one doesn't), no trans, and the hood hinge is messed up. The new one will be much less work and has a better engine for modding. It seems those Teccys don't like to rev high. Sweet deal! What are your plans for it CQ? I have 6 on the front and 5 on the rear of mine. I still try to pop wheelies in 1st! LOL It's nice. Maybe if we have time time, ill romp it a bit, but that might come later. Itll stay pretty much stock until i get a chance to take it to the big shop. Any suggestions/comments/concerns? 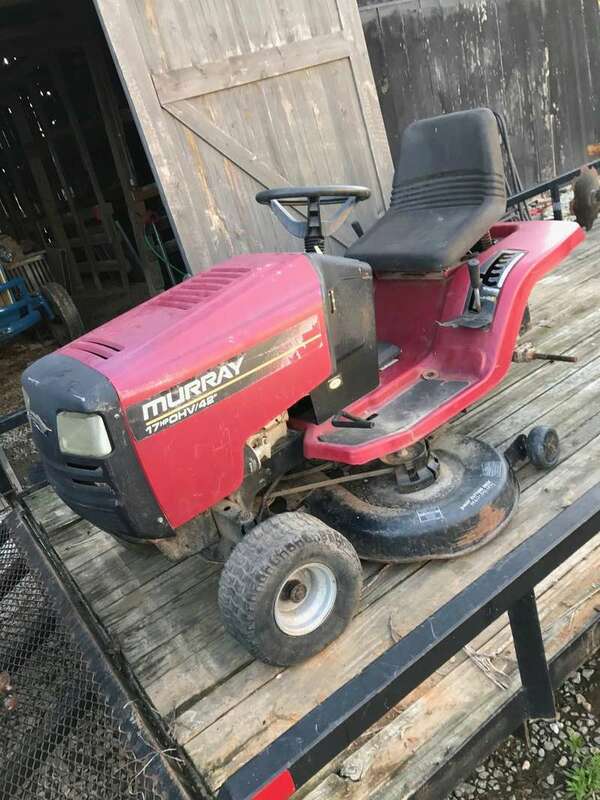 I like the Murray, other than a weaker frame, it has awesome custom build potential! I was down to a craftsman or a Murray when I was deciding and Todd sold me over in one of his video's about them. We got the one we are building running within an hour. We found that the solenoid is bad, so we just jumped the terminals with a screwdriver. Fired right up! Didn't even have to open up the carb. The lights even work! 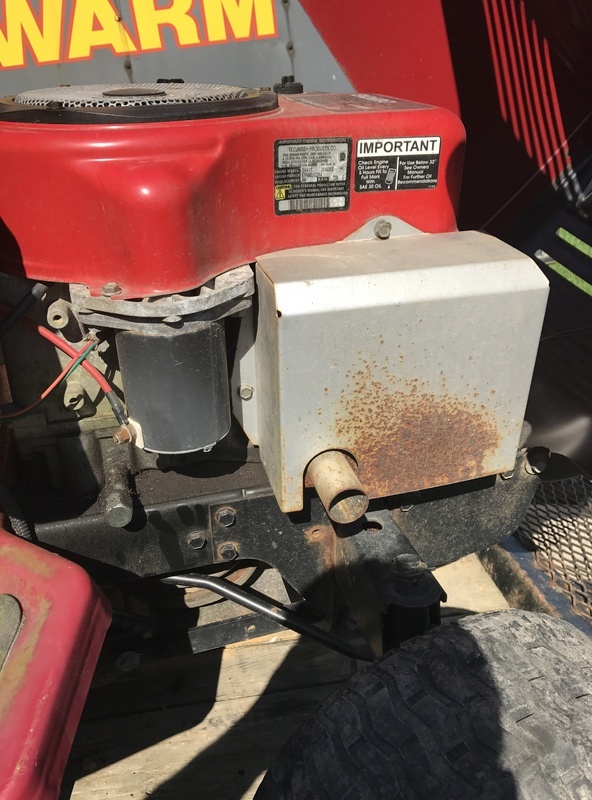 We changed the oil in the engine and trans just to get it out of the way, and added an elbow to the oil drain on the engine. Some other information on them...the widebody is a 1994. 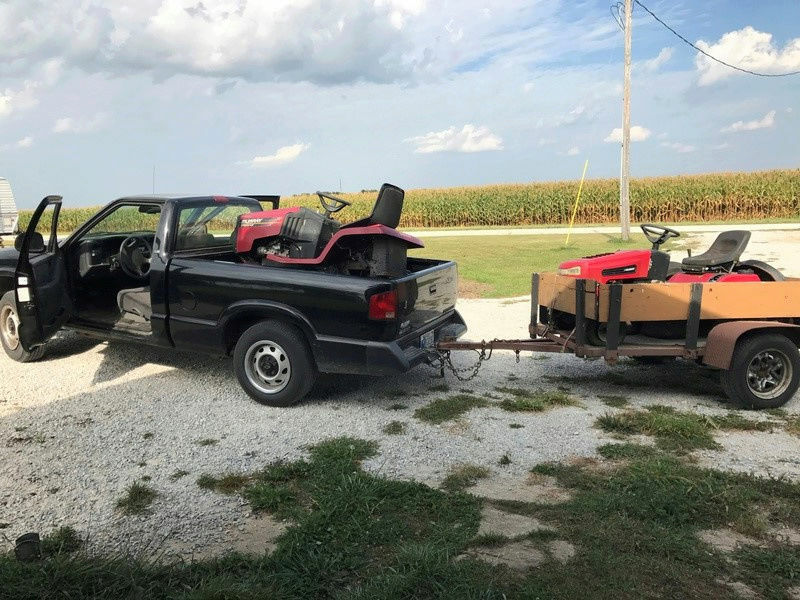 The other one is an '02, 31 cubic inch I think...maybe 32. I cant remember now lmao. The original exhaust was a canister muffler that bolted to that little extension flange so we just used that. It rotated the mount for the flange we wanted to use AND added enough length to get the end of the pipe out of the hood. But we couldn't find any bolts to hold it on fast enough so we just used those to get the pic so I could go home. Also, I did some measuring...this hood WILL fit a v-twin under it...just. barely. Okay, so what is up with the pipe... the flange on the muffler had two sets of threaded holes on it. when i removed the stock muffler, one of the bolts broke off. 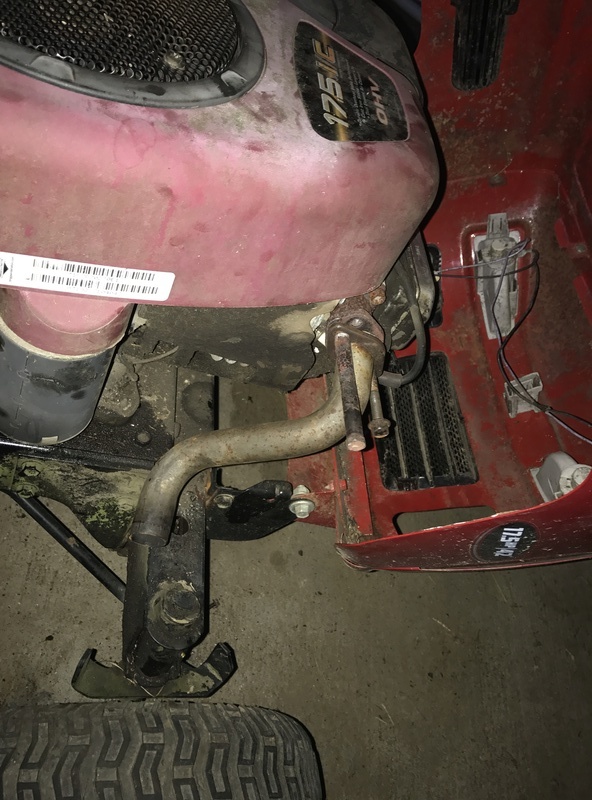 so i filed it flush against the hole ( i will drill it out when i get the chance and put a bolt with a nut on the other side) but for the time being, i stuck the header/ straightpipe on the free holes, and used the bolt from the muffler that didnt break off and a head bolt from a 5 horse briggs. its not permanent i swear lol. i just did that because i was in a hurry. more than likely ill dig through my stash of bolts and find another muffler bolt and put the muffler back on for now. it was a bad idea to even mess with it at that point.